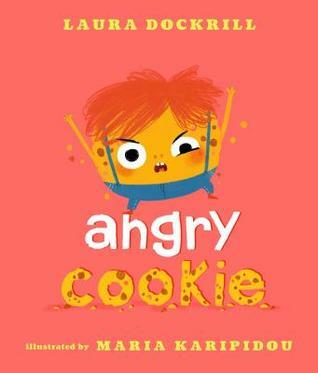 The cookie in this picture book is, just as you would expect, very, very angry. He spends the first part of the story trying to get the reader to leave him alone, even as the book follows him through his daily routine. Finally, the cookie realizes that you, as the reader, are not leaving, and decides to tell you why he is in such a terrible mood. A botched haircut, an annoying roommate, running out of toothpaste, and more all make the cookie upset and angry; but most of all, he realizes, he’s mad because no one ever listens to him. That’s when he realizes that you, the reader, are still listening, that he has a friend, and maybe he doesn’t need to be so angry anymore. The Angry Cookie is fun and entertaining for young children, especially as the cookie playfully yells at the reader to leave him alone and let him be angry, an interactive experience that helps children feel they are a part of the story. The pictures are colorful and attention-grabbing, and the cookie himself is drawn expressively. The underlying theme of the book—managing emotions—is clearly present as the cookie realizes he does have a friend and someone who will listen to him, and he can get through even the most terrible days without so much anger. This message can be used for young children who have trouble dealing with anger or frustration, or feel they don’t have anyone they can reach out to, to realize they have a friend (or a parent, or teacher) who can be there even during the difficult days.